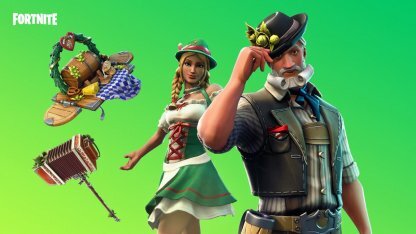 Learn more about Fortnite's Skin - LUDWIG! 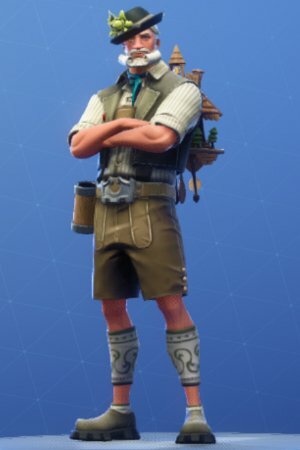 Check out the skin's full portrait, Pickaxe and Glider set and prices the Item Shop! 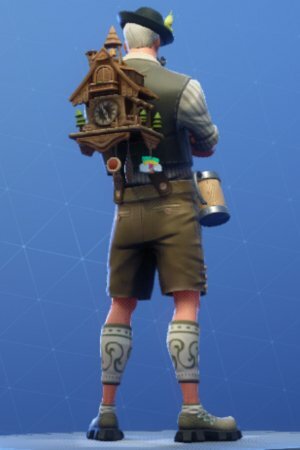 Clad in the traditional Bavarian lederhosen, LUDWIG arrives to the match ready to teach the young 'uns how to get a Victory Royale! Available as part of LUDWIG set. 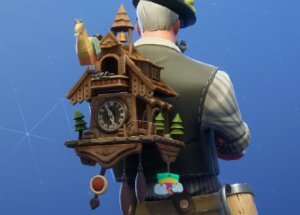 What better way to tell time than with your very own llama-style cuckoo clock! 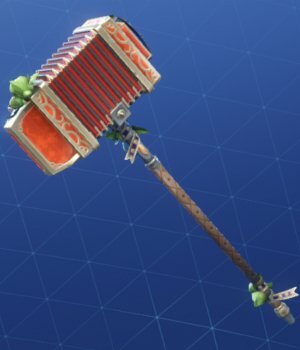 Harvest your materials with the power of music! Complete with some fancy leaves and ribbons! 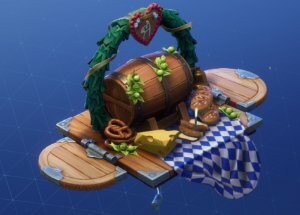 Glide down onto the battlefield bearing glad tidings, pretzels, eliminations, and different types of cheeses!